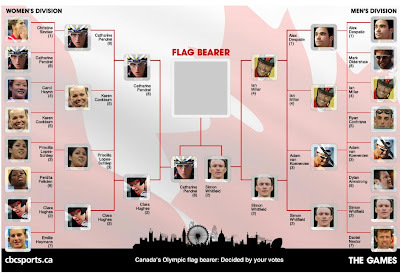 It's down to Catharine Pendrel and Simon Whitfield. This is a tough choice as they are both well-deserving of this honour. It's up to you! Click on the picture to cast your vote. Or here.